The tongue-in-cheek sign by these cabinet card photographs stopped me in my tracks. I’m sure the antique shop owner thought it would be an attention-grabber. It certainly worked for me. 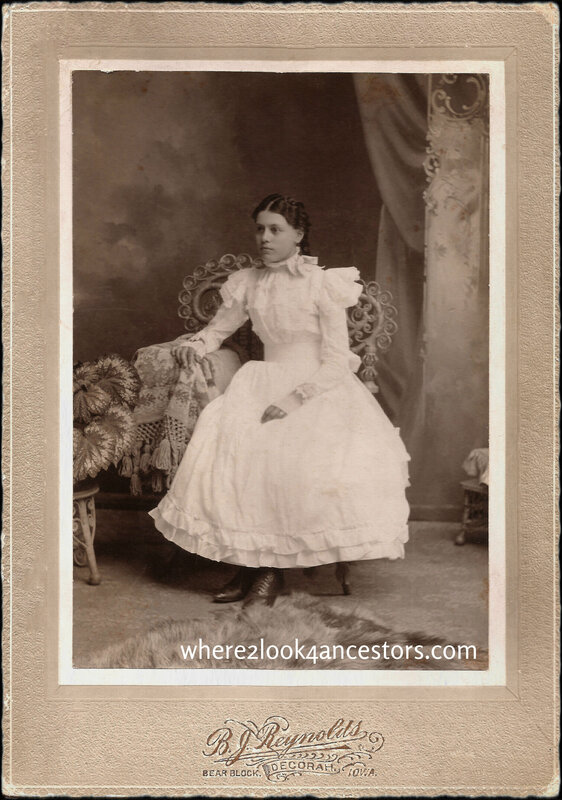 I couldn’t leave this lovely young lady in a cardboard box in an antique store in St Joseph Michigan, so I bought the cabinet card and brought her home with me. In the hope of reuniting her with her family. Do you know of the Lees or Uhligs and their connection to Decorah Iowa? 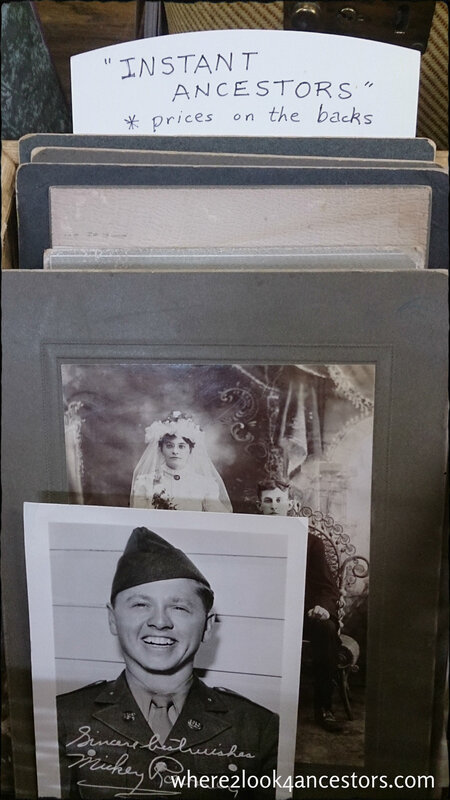 Very difficult to link people in photos with their descendants if there are no names or other details on the back of a photo. You could start with the studio and work backwards, try to find who the clients were – if there is anything written about them, anywhere. I’ve so many that I’d love to reunite with their families. It always makes me sad to think of the people in these photos and the family members who didn’t hold on to the photographs of them. Quite a clever way to market old photographs! Kudos to the store owner for his/her cleverness! And many thanks to you for posting unknown photos in the hopes of “reuniting” them with their descendants. I agree, the shopkeeper used her noodle. 🙂 My fingers are crossed; hopefully a descendant will stumble upon them here.